When I graduated from the University of San Francisco in 2013 with a B.A. 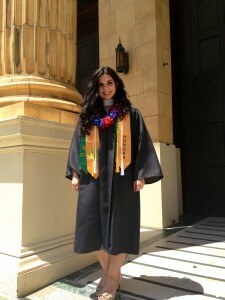 in International Studies, I had no idea what I would do with my degree. Everyone talks about the mid-life crisis, but no one ever talks about the the post-graduation crisis. 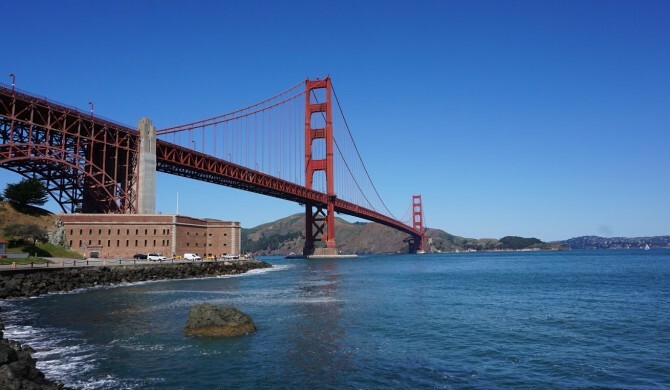 I spent four years scheduling out every day with homework, extracurricular activities, and part-time jobs, all while exploring everything that San Francisco had to offer. However, when it came time to go off and pursue a full-time career, I was unclear about my direction. I decided to take advantage of my freedom and move to Panama City, Panama. I figured I would work any job I could find while exploring what I was actually passionate about. After about six months of living in Panama, I found myself working at a small financial consulting company as an executive assistant. While we handled some of the biggest clients in the country, I didn’t have the skills I needed take the next step in my career and take on the projects that interested me. I discovered that I didn’t want to simply be present for my 9-5 schedule, but rather that I needed to be more emotionally invested in the work I was doing. 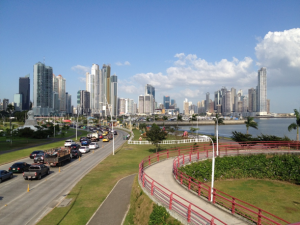 Although I loved living abroad, I decided that it was time to leave Panama after about a year and a half, and I chose to seek a graduate program that would help push past the barriers I had previously experienced. Fast forward to my acceptance to the Oregon MBA Program and orientation week. I was anxious and excited about meeting my cohort, starting classes, and acquiring all the skills I had lacked in my previous positions. While orientation week was exhausting, it was also one of the most rewarding experiences I have had in a group setting. I was particularly impressed by the improv group “On Your Feet”, whose presentation focused on how to be successful both in the program—and in life. One of the points most strongly emphasized was the concept of showing up “fit and well” and how that simple shift can change the outlook, mood, and outcome of a situation. Since learning that lesson, I have been able to identify moments where I strategically changed my attitude so that I could show up ready to share positivity with my cohort. Now, as we approach midterms and stress levels rise, I try to remind myself to be grounded in the “fit and well” concept so that I can continue to get the most out of the program, while helping my classmates be successful as well. Long story short, I am not a beer enthusiast. I can boast that I have the distinguished title of Beer Master from the Budweiser tour at Busch Gardens, but those days are long gone. 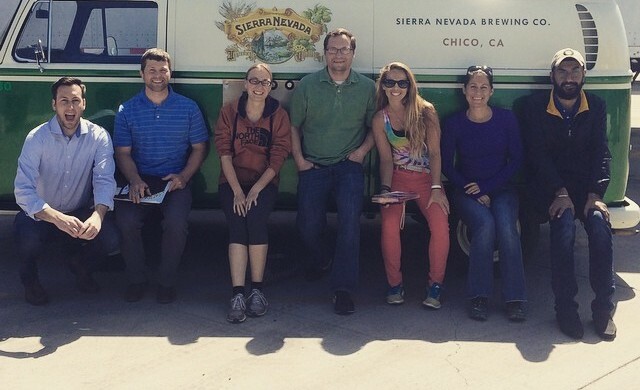 The Center for Sustainable Business Practices scheduled a visit to the Sierra Nevada brewery in Chico, California, on our trip home from San Francisco in early April. I was expecting a company video and a quick tour, ending with a beer tasting. 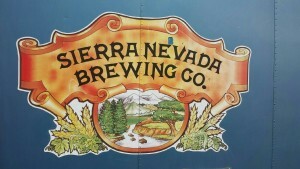 Instead, we were taken on a thorough tour of the factory and grounds where we learned about the numerous sustainability initiatives Sierra Nevada has implemented. For example, the company has a rooftop solar array that aids their fuel cells in meeting the brewery’s energy needs. We toured the grounds and visited the organic garden that supplies flowers for the site’s landscaping and provides fresh produce for the onsite restaurant. We even saw the beloved composter, Hot Rot, which helped Sierra Nevada divert 99.8% of its solid waste from the landfill in 2012. The personalized tour ended with lunch at the onsite restaurant with Cheri Chastain, Sustainability Manager. Cheri discussed her work on the company’s most recent Sustainability report, the purchase of Hot Rot, and the benefits of working for a privately held company. Her job spans from feeding food scraps to the composter to imbedding sustainability into the new brewery location in Mills River, North Carolina. 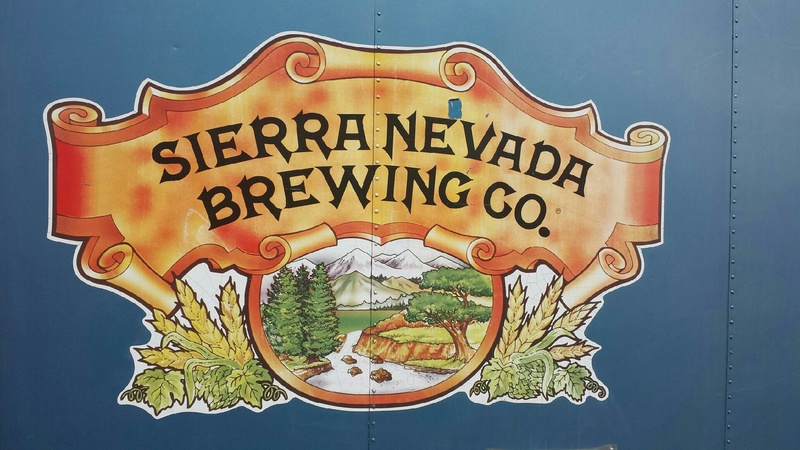 Sierra Nevada is proof that growth and sustainability can go hand in hand. It was an inspiring visit and I am excited to have Cheri as a professional connection. 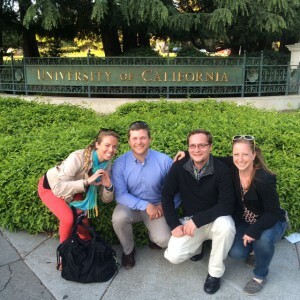 Kelly is a second year UO MBA student in the Center for Sustainable Business Practices (Class of 2016). She is a running and yoga enthusiast looking to create and manage employee wellness programs. Kelly did her undergraduate work at Florida State University and is from Boca Raton, Florida. 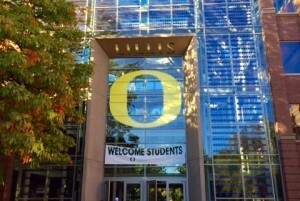 The incredibly rich experiential learning opportunities provided by the Warsaw Sports Marketing Center (and the Oregon MBA) are unrivaled in the sports marketing space. 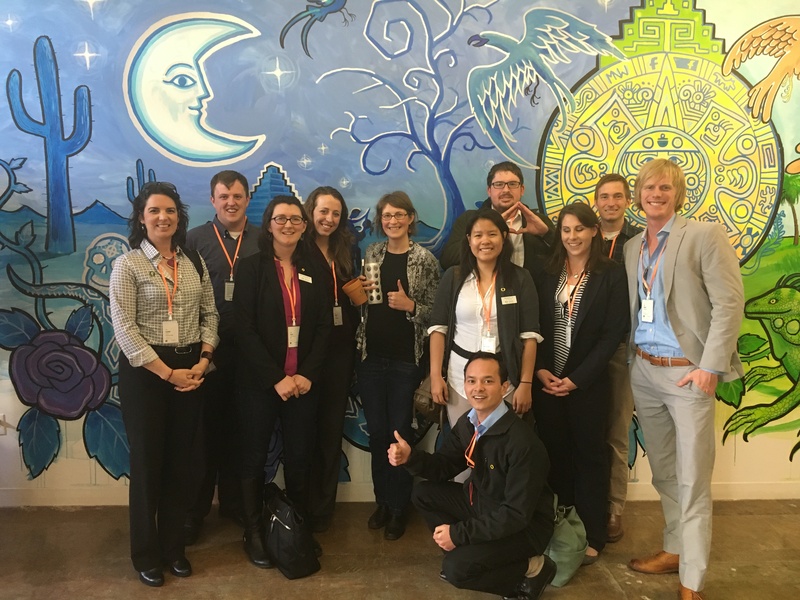 Along with the rest of the first-year MBA class, I recently returned from a whirlwind week of information and education in the Bay Area. In six short days we met with both Oregon alumni and influential sports industry members at the San Francisco Giants, the Golden State Warriors, Visa, EA Sports, Google, and a number of other companies. 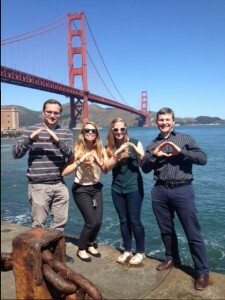 Read on for some of the highlights of the 2014 Warsaw Bay Area trip. 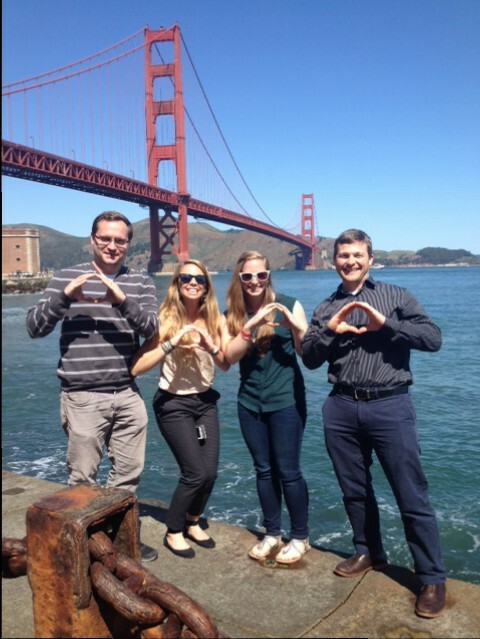 Jeff is a 2015 MBA Candidate at the University of Oregon's Warsaw Sports Marketing Center. He was born and raised in Vancouver, Canada and obtained a Bachelor of Commerce Degree from the University of Victoria (BC) in 2009.He frequently shares his thoughts on Twitter @anguscertified and is passionate about writing, storytelling, fitness, health, and everything and anything sports-related. After a busy day of business meetings, we had the wonderful opportunity to spend the evening in great company with business leaders at the Century Club in San Francisco, hosted by Mark and Martha Greenough. The evening opened with drinks and appetizers providing ample opportunity to introduce ourselves to our hosts (and other guests) and begin learning more about their various business ventures. The variety of our guests gave us insight into small business management, financial advising, capital investment, entrepreneurial startups, and general business advice. The evening continued to the dining room where our first course and main course were served over more intimate conversations between the students and our business guests. Topics of conversation ranged from football allegiances to work-life balance and entrepreneurial advice, to name a few. 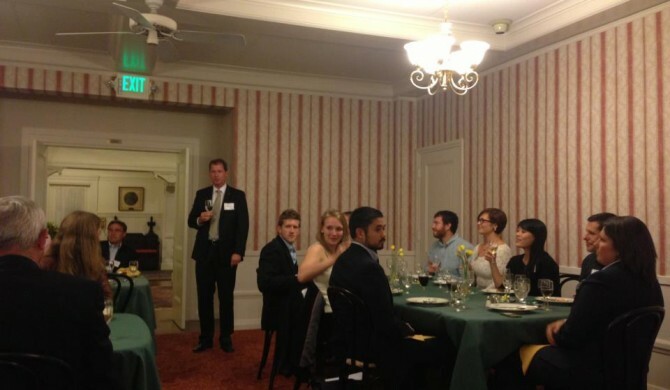 We students were then offered the opportunity to introduce the guests at the table to the entire group, giving everyone a chance to see the great talent, success, and achievements made by those in our company. As we made our way upstairs for drinks and dessert, Mark Greenough prepared a networking activity to offer additional time for small groups to ask questions and glean as much as we could from our guests before the evening drew to a close. 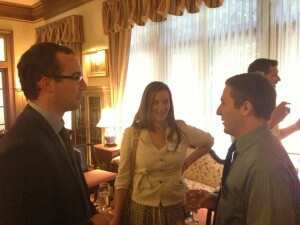 In small groups, we spoke with 2-3 guests about their great achievements, biggest challenges, and highest aspirations. The intimate setting provided for a honest discussion of the highs and lows of business, focusing on how the journey is the exciting part, not the destination. Andrew is an MBA Candidate in the Center for Sustainable Business Practices. A native of Massachusetts, he came to UO to refine his business skills and build his expertise in the sustainability arena. His primary interest is in helping organizations implement environmentally and socially sustainable strategies for long-term success, and he is a regular participant on many of the MBA intramural sports teams. 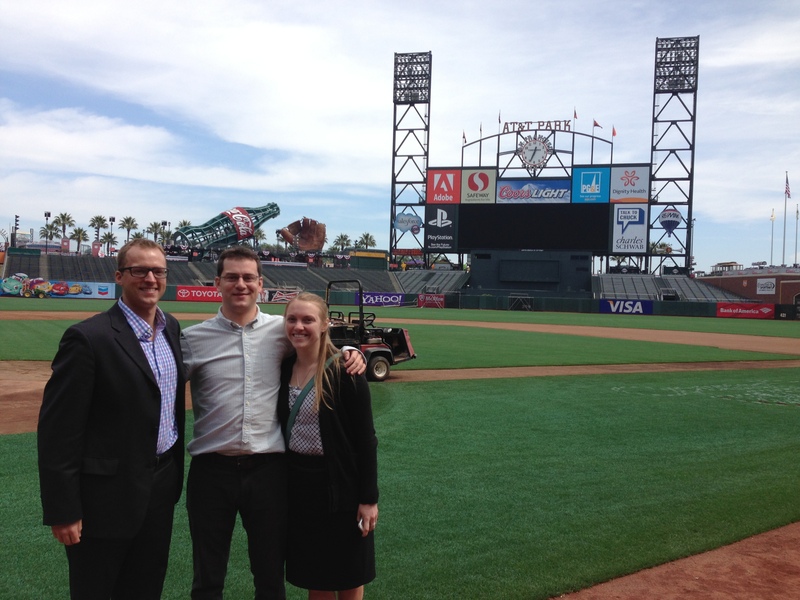 Editor’s Note: This post is the second in a series of entries chronicling a recent study tour by first-year MBA’s from the Warsaw Sports Marketing Center, who spent the first week of spring term visiting the offices of nine major sports properties in San Francisco. The San Francisco study tour is an annual Warsaw Center trip that exposes students to a variety of sports agencies, teams, corporations and product companies in the Bay Area, providing excellent opportunities for experiential learning and networking. Following an action-packed first day in San Francisco, we were allowed to sleep in just a bit as we prepared for another event-filled day in the Bay. After meeting in the hotel lobby at 10:15, we headed over to nearby AT&T Park, home of the reigning World Champion San Francisco Giants. We arrived a few minutes before our meeting was set to start, which gave us time to pose for photos with the Willie Mays statue in front of the beautiful waterfront ballpark. At 11 o’clock, we were greeted by a Giants representative, who led us inside the park and into one of the press rooms, where we were greeted by Tom McDonald, Executive Vice President for Consumer Marketing, and Jeff Tucker, Vice President of Sales, both University of Oregon alumni. Tucker began with a presentation on the Giants’ dynamic ticket pricing strategy. 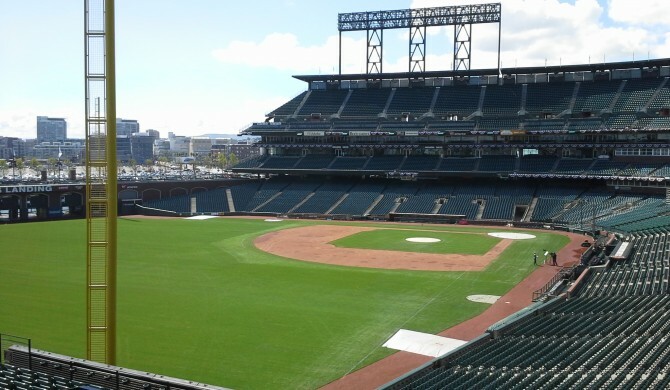 Back in 2009, the Giants teamed up with start-up software company Qcue to test out a pilot program of 2,000 seats in the View Reserved and Bleacher seats. Given the success of the test run, they went on to dynamically price the entire venue for the 2010 season. The Giants turned out to be trailblazers in this respect, as many other professional teams across various sports have moved to this model since then. After Tucker’s presentation, we heard from McDonald, who talked to us about the Giants brand marketing campaigns, using the similarly themed slogans from the past few years, “Together We’re Giant”, “Together Again,” and “Together We’re Champions”. He discussed the concept of the club not only as a baseball team, but as an entertainment company, and explained how they have been able to leverage their two World Series wins by taking the trophies on nationwide tours. He highlighted their commitment to customer service and how everyone in the organization views the club as a “community trust”, to ensure that they serve the best interests of the entire community. To wrap things up, he showed us commercials from this season’s marketing campaign, which uses players to communicate the club’s strategies. We climbed back into the vans for a drive down Highway 101 to Redwood City, home of video game giants EA Sports. We were welcomed by the President of the company, Peter Moore, and a trio of Warsaw Alums in Dave Rosen, Director of eCommerce Partner Marketing for EA, Tabitha Hayes, Director of Online Marketing for EA, and Tyler Vaught, Product Marketing Manager at Sony. The main topic of discussion circled around the changing platform of video games, as they move from chips to digital and focus more on in-game add-ons to enhance the digital experience. They provided several examples of this within their own games, including the “Origin” platform, which is the new name of their online store, and the popular player trading cards in FIFA 2013, which allows video gamers to build a dream team of soccer players from around the world. We then headed further south to the HP Pavilion to meet with Malcolm Bordelon, the Vice President of Business Operations for the San Jose Sharks, who gave us a well-rounded view of the club’s front office operations and touched on a current public relations issue within the organization. That very morning, the team had traded for Raffi Torres, widely known around the league for his tough guy reputation and previously despised by Sharks fans for having injured a couple of the team’s players. 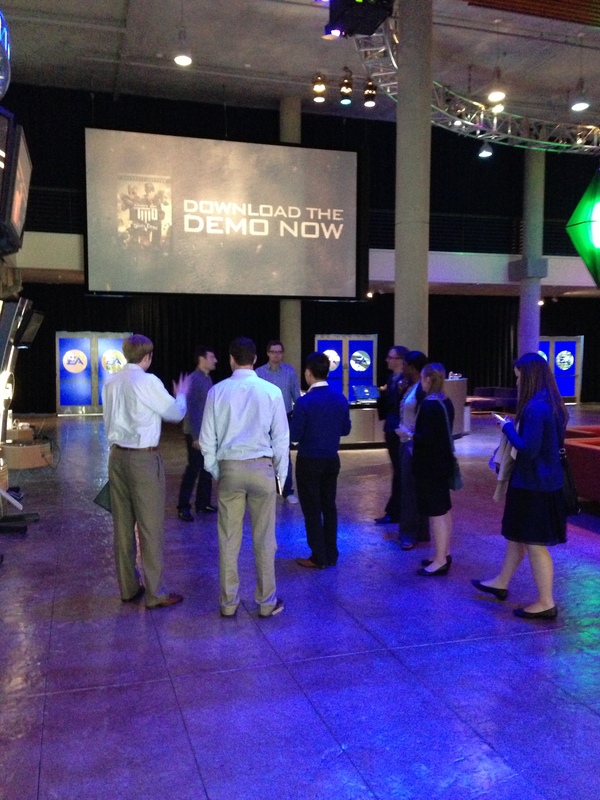 It was an intriguing real-time opportunity for us to see how a professional organization deals with such matters. Following our discussion, Bordelon presented us with San Jose Sharks hats, key chains, and “Sharks Territory” placards. 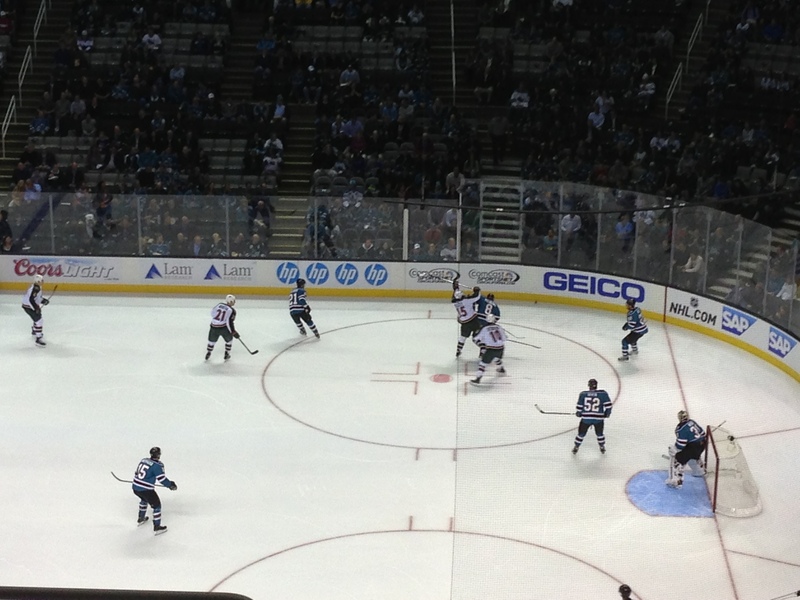 We then moved from the offices to the stands to watch the Sharks take down the Minnesota Wild, 4-2, in an exciting game. Worn out from the long day, we loaded up the vehicles once again and headed back to San Francisco for a quick night’s rest as we prepared for another day of visits on Thursday. 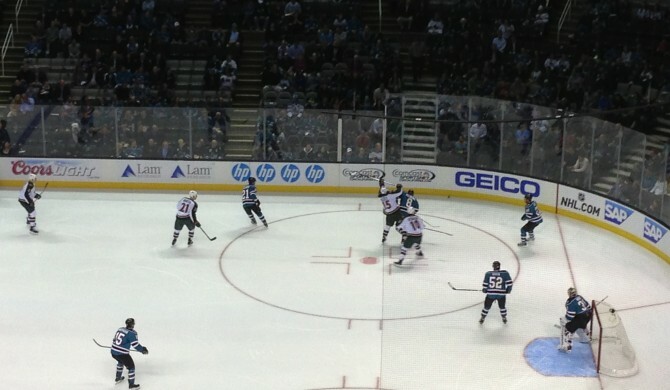 Action from HP Pavilion, where the Warsaw students witnessed the San Jose Sharks take down the Minnesota Wild, 4-2. Perry is a first-year (2014) MBA student in the Warsaw Sports Marketing Center. I wanted a job, really bad. Years of studying had to pay off. 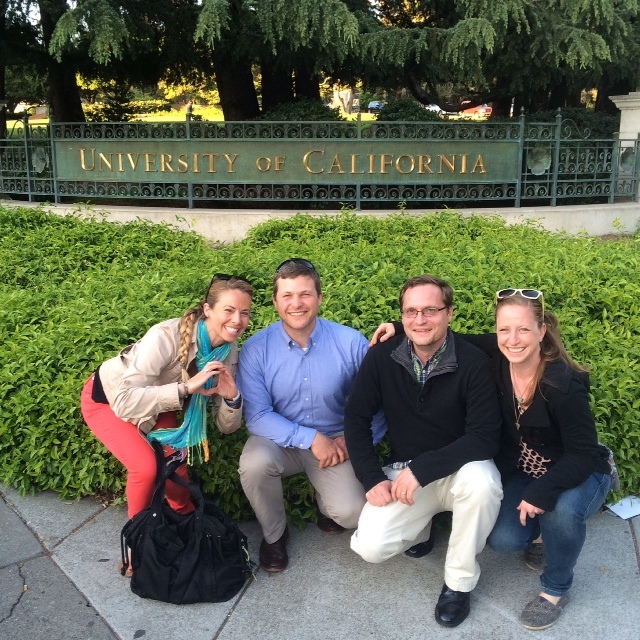 So I got some advice from career services, packed my bags, and hopped on a plane to San Francisco. With 4 informational interviews scheduled, I intended to make the most of my trip. 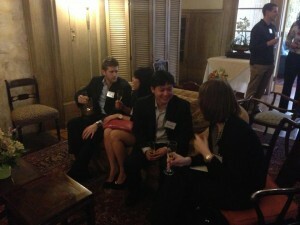 For two days I met with four firms while eating lunch, and drinking coffee, lots of coffee. I met with recruiters and staff from each firm and enjoyed viewing each of their offices. After both days I flew back home with the hope that my visit would secure me an interview. Little did I know that in a few weeks I would return to the Bay Area for a second round interview, and the chance for a full time offer. After securing a few first round interviews, I received a second round interview opportunity from Frank Rimerman. 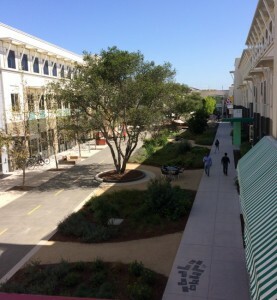 They invited me to their Palo Alto office where I would have multiple interviews with staff, partners, and recruiters. The experience was incredible, from meeting with staff to talking about a partner’s career, I started to see why I had heard so many good things about Frank Rimerman. The following week, I returned home and a little later I received an offer. 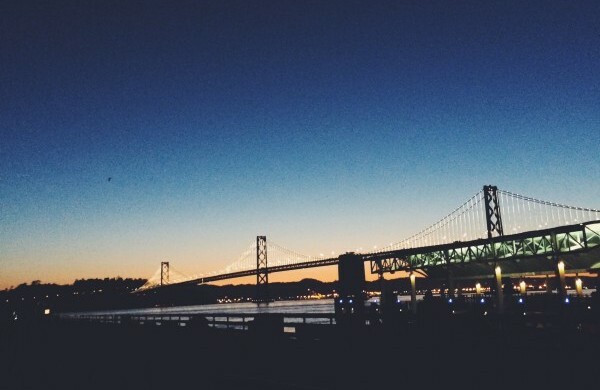 It didn’t take me long to accept as I fell in love with the bay area, Frank Rimerman, and the people that work there. 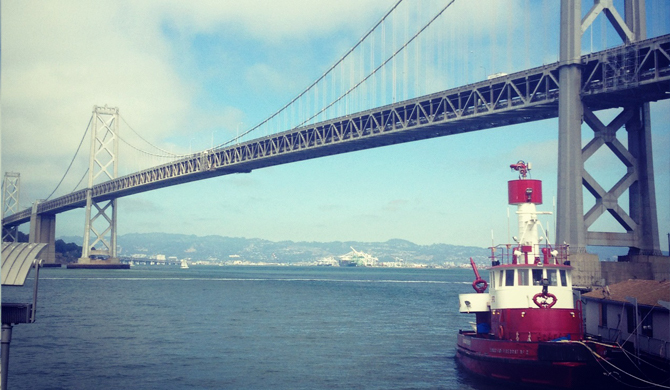 This spring as I graduate, I’ll have one attitude: San Francisco here I come.